I do love a good coat, so this ‘Swiss Army Knife’ of jackets has seriously caught my eye! 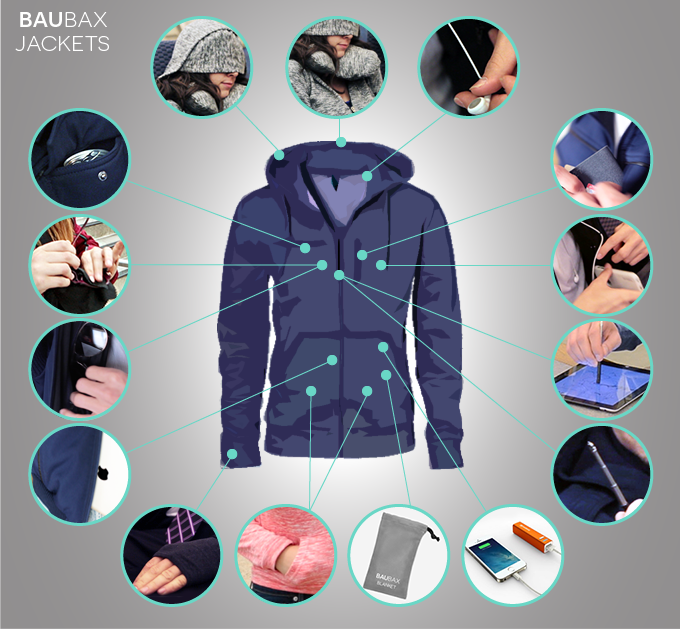 Not content with just making a normal jacket, the Baubax has 15 built in functions, on top of the main one of, you know, being a coat. 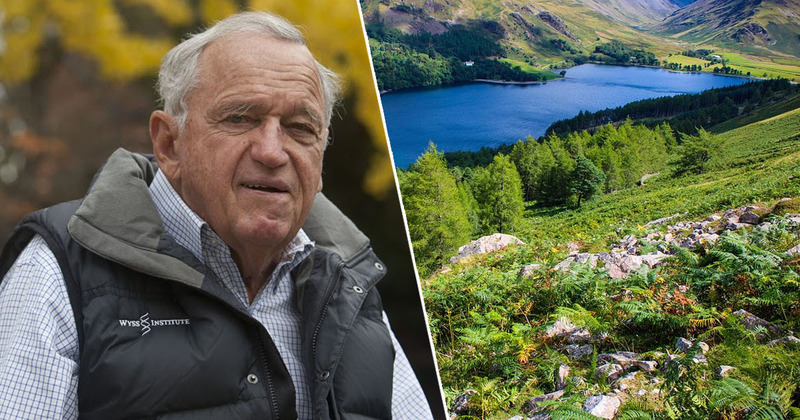 Starting out as a Kickstarter campaign, the Baubax absolutely obliterated it’s $20,000 goal… With it currently standing at just shy of $2 MILLION. The multitasking coat comes in four different styles: Bomber, windbreaker, sweatshirt and blazer, and all of them have all of the functions. Baubax is the invention of Hiral Sanghavi, an entrepreneur and student at Northwestern University’s Kellogg School of Management. My primary motivation for creating Baubax was to solve all of the problems and frustrations that most of us face during travel. 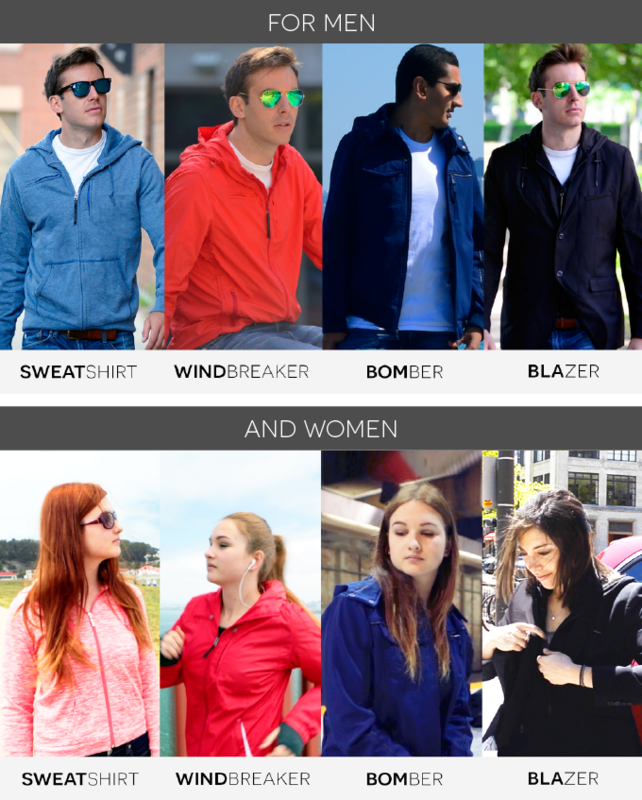 We set out to solve all of the problems travelers encounter by designing travel jackets, blazers, bombers and hoodies/sweatshirts with everything a traveler wants and needs. But what about these 15 functions? A built in neck pillow that is hidden, and inflates in 2 secs, and deflates with the push of a button. A travel eye-mask built into the hood. Built in Gloves, so you don’t have to put your hands up into your sleeves. Earphone holders, so they never get tangled again. A blanket pocket. Because you never know when you might want a nap or a picnic. 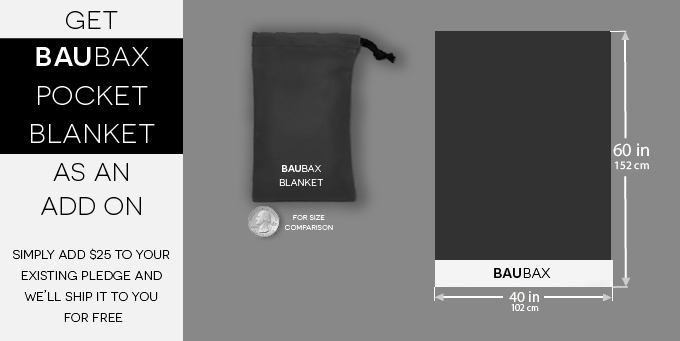 A Baubax blanket is available for an extra cost. Hand warming pockets. For when the built in gloves aren’t enough. A ‘Koozie Drink Pocket’… For keeping hot drinks hot and cold drinks cold. And your hands free. iPad pocket. Because you need to take it everywhere, don’t you, but you don’t want to be seen carrying it and looking like a douche. The zipper is a telescopic pen. So you don’t need to steal them from the bookies or Argos anymore. The zipper that it also a telescopic pen is also a stylus. For the iPad in your pocket. A smartphone pocket. 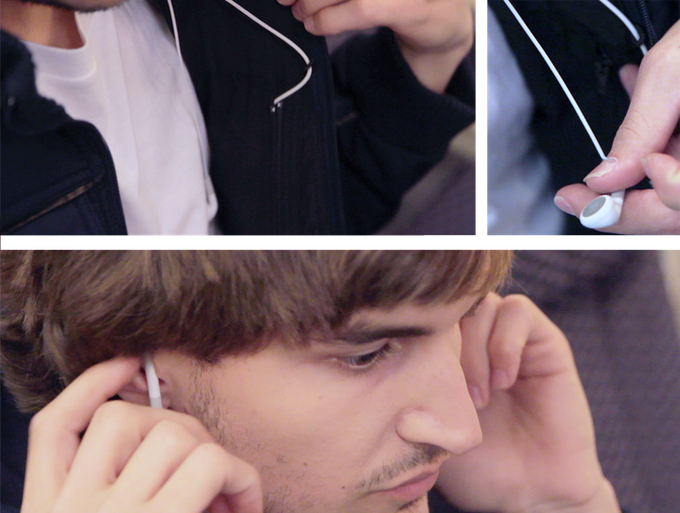 No, no… It’s NOT just a normal pocket… It has access to your headphones, so there. Sunglasses pocket. Built to protect your sunnies and not squash them. Microfibre cloth. 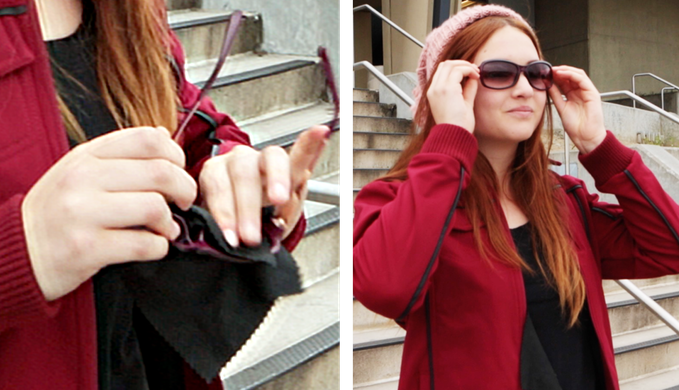 To clean your protected sunglasses, or the screen of the iPad in your pocket. 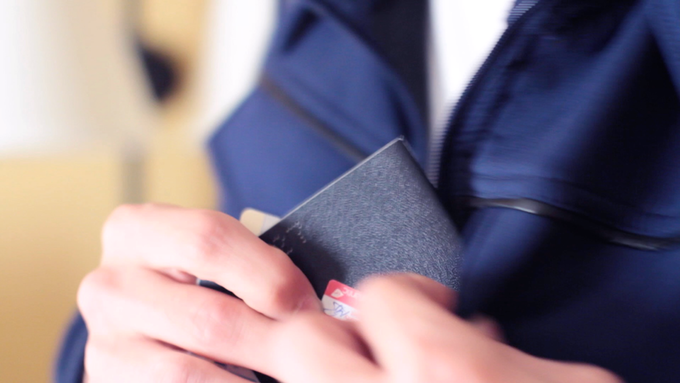 Passport pocket. Again, NOT just a normal pocket, it’s passport sized… So you know exactly where it’s going to be when you get to the airport. So there you go, jacket that can do everything! Well, maybe not quite everything. But it will at least free up some room in your hand luggage on a flight, and it isn’t a bumbag, which is a bonus. The project is now underway, with the first jackets due to be shipped out in November. With their cheapest type starting at $89 for their sweatshirt, they are actually surprisingly affordable. With a range of colours, you may find out you like, too. Check out the Kickstarter campaign using the zipper-stylus, then put your iPad back into its proper pocket. Oh yeah, you can’t which is why you want one.